It’s the day you’ve always dreamed about. The one day that countless hours of planning and rehearsing go into. The one day where everything needs to be perfect. It’s your day. Get your sound. Here at Upstate Sounds, we understand how nerve-racking the “big day” can really be. Entertainment for your wedding has a large impact on how memorable your special day will be. So why settle for anything less than the best? Our entertainers have years of experience on making this day something your guests will remember for years to come. We let our clients customize the entire event for the evening, so things go exactly as planned. Are you looking for a special touch of elegance for your wedding? Do you want your guests to dance the night away on your special day? No matter what you’re looking for, Upstate Sounds can help you make your day the way you always dreamed it would be. Feel free to contact us to schedule a free consultation. We want to learn more about you and what you’re looking for, so we can tell you about everything Upstate Sounds has to offer. You can also use our online Client Area to select music requests, and access planning forms. We will also meet with you again before the wedding to go over every detail, so the day goes PERFECT. It’s your wedding, and you deserve professionalism from your entertainer. We look the part, as we always wear tuxedos for formal events. We coordinate with your photographer, videographer, caterer, and other professionals, so you can relax on a day where you deserve to. Our equipment setup features top of the line sound from Bose and spectacular dancefloor lighting. We don’t believe in displaying any gaudy company banners like other entertainers do. This day is all about YOU, and Upstate Sounds understands that. 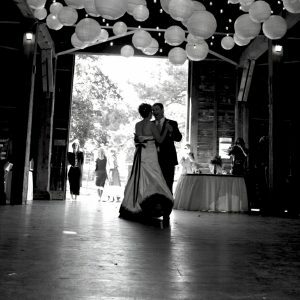 Upstate Sounds offers competitive rates on wedding packages. With our experience, combined with an unmatched attention to detail, you can be rest assured that your wedding will be special, unique, and as memorable as it deserves to be.